Fiona found it difficult to find suitable extra-curricular activities for her son, who is autistic and needs 1-1 adult support. It’s a problem she knows is shared by other families. As a volunteer with Autism Northern Ireland and a founding committee member of the Tech Education Network CIC she was interested in developing outreach work focusing on inclusion and special educational needs. Below she shares how she discovered CoderDojo as a solution, and how others can learn to make their spaces more autistic-friendly. I wanted to start a club and began exploring CoderDojo, firstly by completing Picademy in Belfast last year. Then I joined a couple of webinars and a CoderDojo meetup event, by which time I was convinced it was the way to go! I developed the idea to create an inclusive Dojo to serve the autism community and pitched it to Autism NI. They were keen to work with me on this. So Tech Education Network and Autism NI are making it happen! We started with sushi cards for HTML/CSS and Scratch, adding Hour of Code and Made with Code projects into the mix, as an Hour of Code enthusiast was attending as well as several girls. I highlighted Hour of Code projects with Minecraft, Disney, Harry Potter and Gumball to try to accommodate young people’s special interests. Most popular by far was Scratch. Some completed the Flying Hippo animation or Balloon Popping game sushi cards, others tried out Minecraft tutorials using Hour of Code. I was also surprised at the number of people doing their own thing with Scratch, with brilliant results and all first timers! The age range of Ninjas was from 5 – 13 years old. The young people who took part in the session had some great feedback on the event. They highlighted how much they enjoyed the session, mentioning what they learned as well as enjoying working with family members. ‘I love coding’, ‘It was quite fun learning how to code on Scratch’, ‘I got to work with my Mum’, ‘I made a super cool rainbow’, ‘I liked playing with the Lego and I also liked the coding’ and ‘This was great, I enjoyed it so much’. Parents, guardians and carers too had a great response to the session. 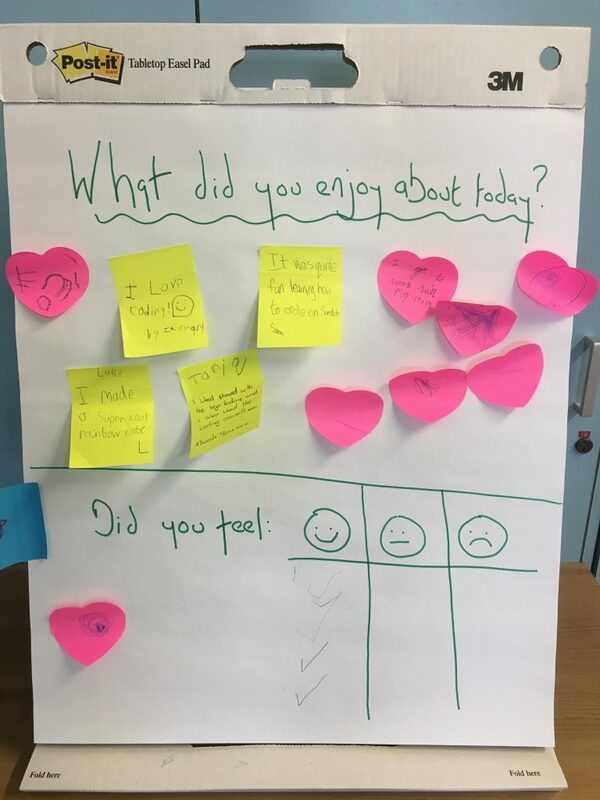 Many noted how much they and their children enjoyed the event, ‘It was great to see our kids engage straight away, the room was quiet, and we could relax’. The highlighted their desire to see more regular events like it happen in the future ‘Great event looking forward to next one! !’ and ‘I hope this will continue’. One parent really appreciated the “whole family approach’ while another simpl noted that they thought it was ‘Brilliant’. Guardians, parents and carers were delighted to hear that for us this was not a one-off special event. We are running four Dojos from March until June 2019 as a pilot, with every intention of continuing beyond that. We are a regular autism specific Dojo! I am thankful to have had the full support of my colleagues at the Tech Education Network CIC (TEN) and those at Autism NI. Our Dojo is held at Autism NI headquarters, a familiar space to service users. Autism NI’s Family Support Group Officer, Kyle Duncan, has taken a co-champion role with the Dojo. He created a flyer, advertised the session via email to our support group members, provided visual communication aids and ensured first aid and risk assessment procedures were in place. On the day he led set up, clear up, managed registrations, provided refreshments, took photographs and helped keep everyone happy! He has been invaluable to creating an autism friendly space, a safe environment which everyone can access, function & thrive in. 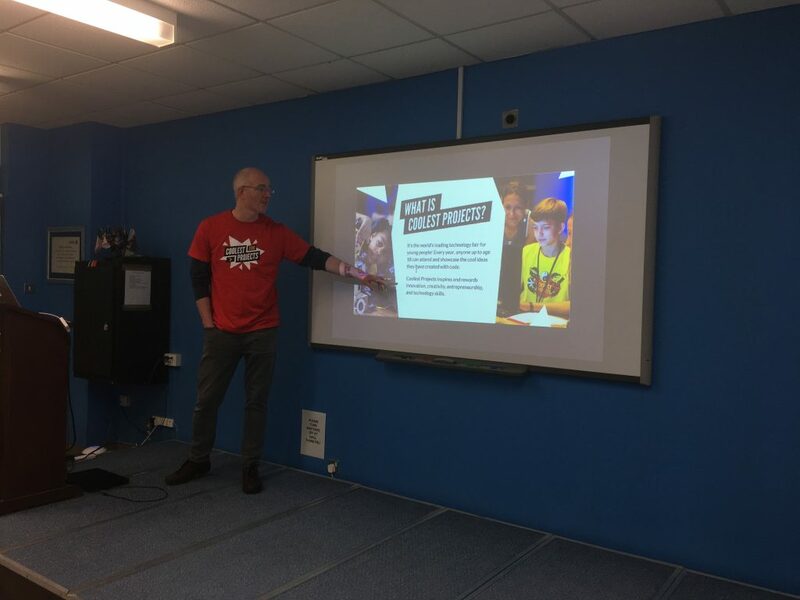 A fellow TEN member and CoderDojo Banbridge Champion, Mark Corkery, supported us by bringing five laptops, mentoring and doing a presentation on Coolest Projects International. A further five laptops were shared with us by Big Rock Designs, a computer training consultants’ company in Belfast. Finally, Leaf computers and clouds, a Belfast based business technology solutions company, provided a laptop and a technical mentor for the duration of our pilot! How can others make their sessions more accessible? Besides making reasonable adjustments such as those I’ve described above, working with people with autism should just involve meeting them where they are at. Autism affects everyone differently and each person has their own pace, both in terms of developing making skills & social skills. It’s important to be accepting of who they are and patient, as information can take longer to process. You may notice differences in their thinking & interests, verbal communication & physical interaction, sensory & motor skills. Collaborative working and transitioning between activities might be challenging, they may need to move around and make noise, there may be perfectionism and lots of questioning, they might only want to do what they are especially interested in! I would advise harnessing any passions, rolling with them and helping them to find a way to progress within that interest area. For ASD, providing new ninjas with a social story prior to the event would be beneficial. A social story can help prepare them for what to expect when attending a Dojo, by providing succinct textual and visual information about details such as what it will look like, what the schedule will be etc. 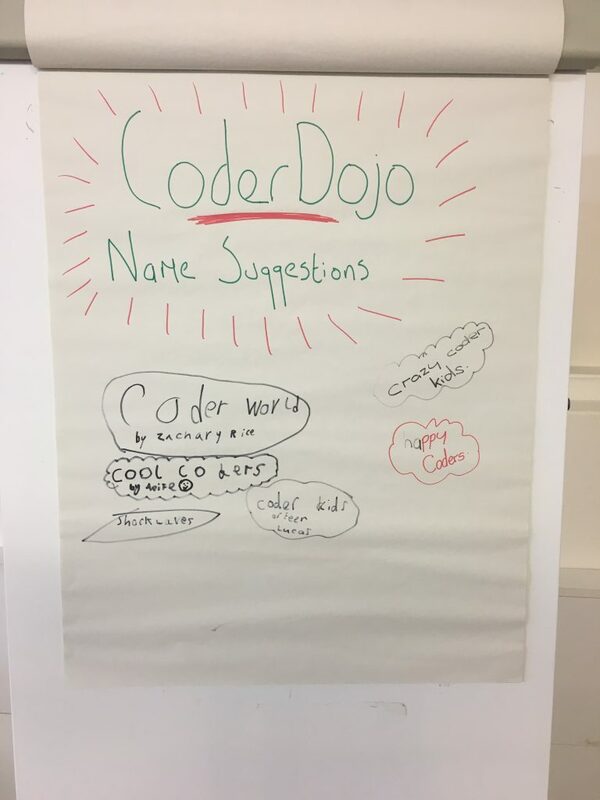 The CoderDojo Foundation is in the process of developing an accessibility guide which will include a template for this to support Dojos and Ninjas in the near future! The kids just got stuck in and the level of independent creativity and problem solving was fantastic to see, they didn’t want to stop! There were excited cheers, dances and lots of showing off about achievements. 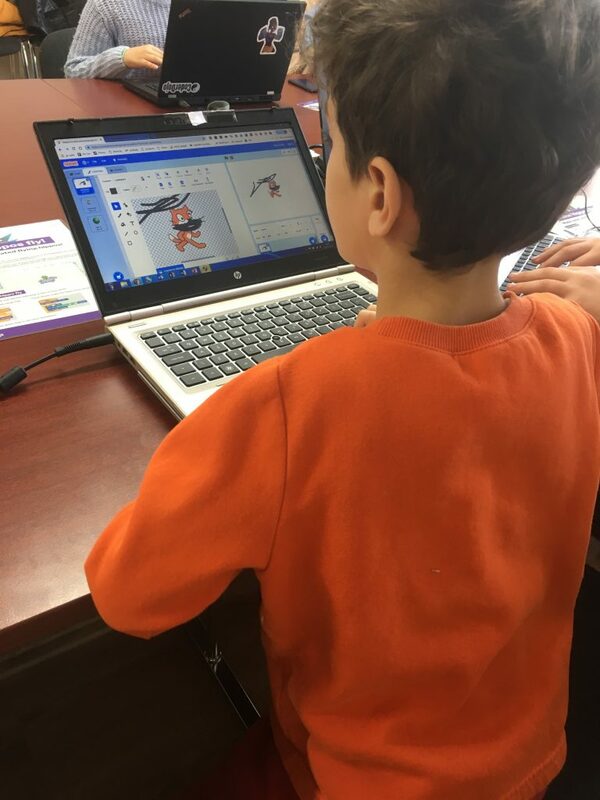 It was also wonderful to have whole families enjoying the event together, with parents and siblings working alongside the ninjas and simply developing tech skills through doing. Everyone seemed happy and comfortable throughout the session and were eager to hear about the next event date, so I’m absolutely delighted! Thanks Fiona for sharing your experience. As she mentioned we are in the process of developing an accessibility guide which will be released later in the month. 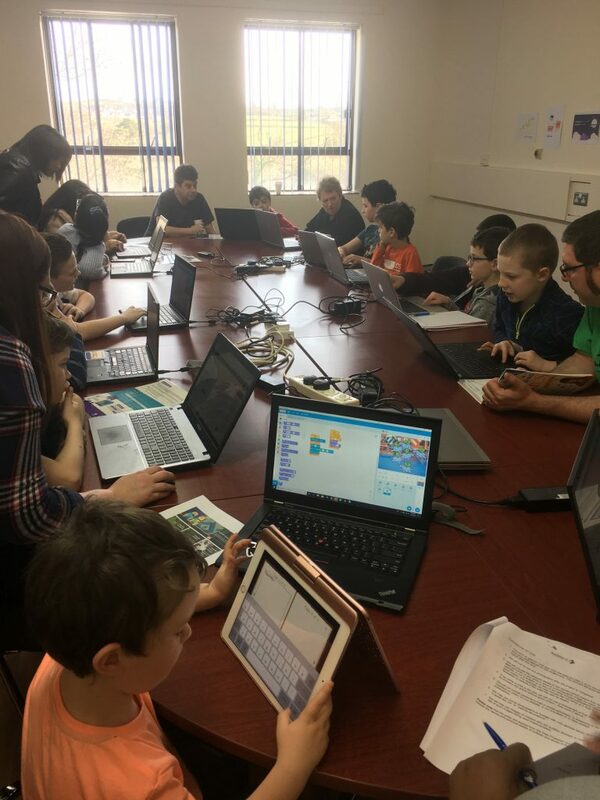 If you are interested in learning more about how you can start a CoderDojo in your community and the resources available to you, why not join our upcoming Start a Dojo online course, or our next webinar?